Zimbabwe is suffering acute shortages of U.S. dollars, deterring foreign capital from helping the ailing economy recover after 20 years of economic hardship under former leader Robert Mugabe. "The situation at the moment is demand for foreign currency is bigger than supply and essentially as the economy advances you will find that there will be interest in foreign currency generation," Winston Chitando said in London. "It's a short-term problem and it's going to work itself out as the economy grows." Companies are allowed to retain 30 percent of foreign currency they earn, Chitando said, and can make an application to the Treasury if they need more. Zimbabwe holds the second largest deposits of platinum and chrome after South Africa and has the potential to be a major lithium supplier. Foreign investor interest in the country is growing after Mugabe's removal in a coup last November and President Emmerson Mnangagwa's election in August but projects are constrained by lack of funding. Zimbabwe needs up to $11 billion to modernise its mines, the head of the country’s Chamber of Mines said in May. A Zimbabwe economic plan released on Friday said the government would back initiatives by mining houses operating in Zimbabwe to float syndicated bonds offshore, "as part of companies’ efforts to raise capital offshore to finance re-tooling of antiquated mines." "This will initially target raising US$1 billion, with the instrument guaranteed by Government," the document said. Mining investors have said they need regulatory certainty and the removal of foreign exchange restrictions that limit how much money companies can take out of Zimbabwe due to the dollar shortage. Zimbabwe abandoned its own hyperinflation-hit currency in 2009 in favour of the U.S. dollar, but a widening trade deficit, lack of foreign investment and a decline in remittances by Zimbabweans abroad have helped to fuel foreign currency shortages. Other forms of payment used in Zimbabwe are bond notes and dollars stored electronically in bank accounts, known as "zollars". On Tuesday, Zimbabwe's gold miner RioZim said it would take legal action to force the central bank to pay it in dollars for part of its output. Meanwhile, platinum miners will make a decision by the end of November on plans to jointly process platinum locally to avoid a 15 percent tax on exports of the raw mineral due to be in place by January 2019, Chitando said. 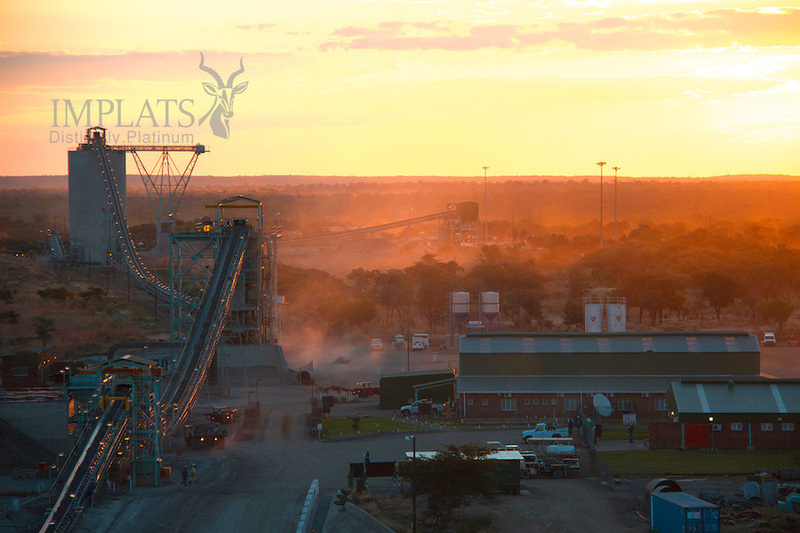 Platinum miners operating in Zimbabwe including Anglo American Platinum, the local unit of Impala Platinum , Zimplats and Sibanye-Stillwater currently send output to refineries in South Africa. Impala Platinum spokesman Johan Theron said it was a "legitimate aspiration" for miners to process platinum in Zimbabwe, but added that "any expenditure in refining competes directly with expenditure in growing the production base". "Capital competes across the value chain and you can’t have it both ways," he said. Chitando also said a mining bill that was sent back to parliament by Mnangagwa should be reviewed by the national assembly by December following amendments.